More than 100 people recently attended a Hope Hospice Hearts of Hope Gala Committee tea at the home of Mrs. John Foley in Bonita Springs. The committee is preparing for the 2004 Hope Hospice Capital Campaign that will help build Joanne's House, a new Hope Hospice house in Bonita Springs. 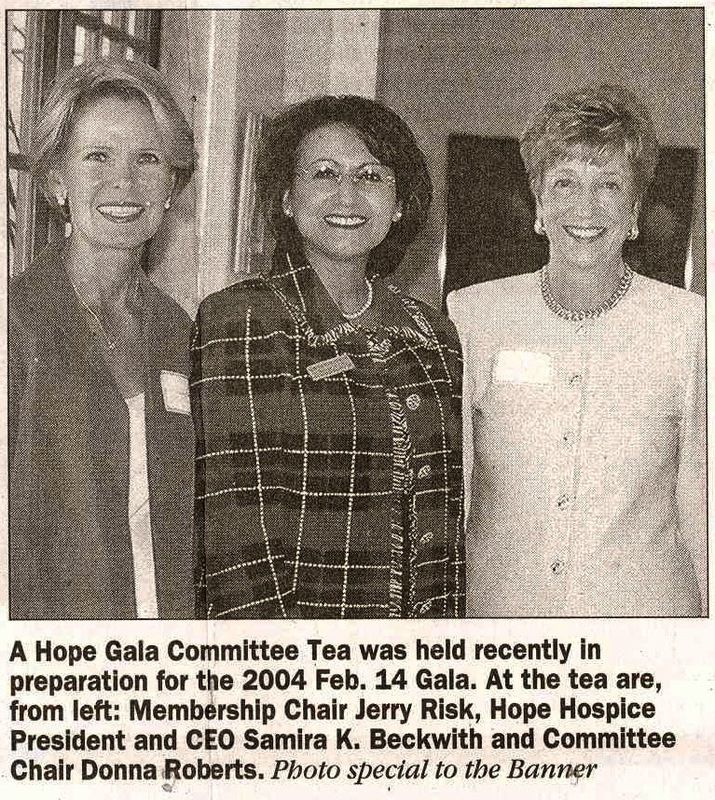 Last year the Gala Committee raised a total of $100,000 for Hope Hospice. The 2004 Gala will be held Saturday, Feb. 14. The event will include a charity auction with items such as a two-week trip to Vail, Colorado, a dinner party for 12 and an electric car from Chrysler. Corporate tables at the Hearts of Hope Gala are: $2,500. Benefactor' tickets are $300 each and patron tickets are $200. Heart of Gold sponsorships are $5,000. According to Hope Hospice President and CEO Samira Beckwith, "This is the big social event of the season and it is of tremendous benefit to Hope Hospice and the community we serve."